Diabetes is the inability to produce insulin, a hormone that regulates blood sugar levels, due to damaged or non-existing insulin cells. Many diabetes patients take insulin supplements to regulate these levels. In collaboration with other international researchers, researchers at the University of Bergen have, discovered that glucagon-producing cells in the pancreas can change identity and adapt to do the job for their neighbouring damaged or missing insulin cells. 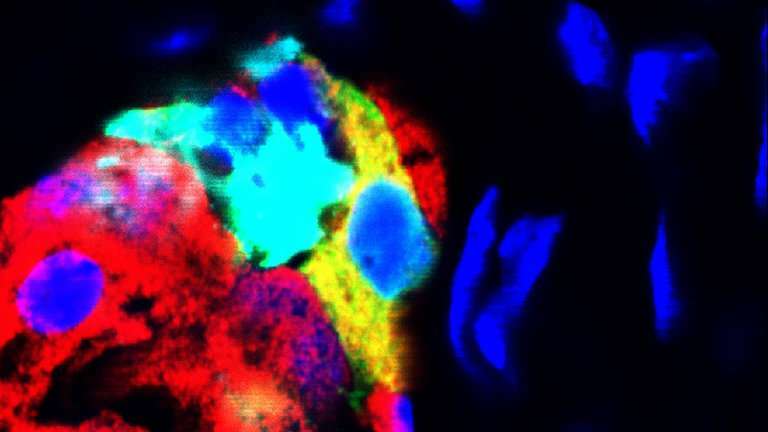 The researchers discovered that only about 2 percent of the neighbouring cells in the pancreas could change identity. However, they are optimistic about potential new treatment approaches. For the first time, the researchers have described the mechanisms behind the process of cell identity. It turns out that this is not a passive process, but rather the result of signals from the surrounding cells. In the study, they were able to increase the number of insulin-producing cells to 5 percent by using a drug that influenced the inter-cell signaling process. Thus far, the results have only been shown in animal models. “If we gain more knowledge about the mechanisms behind this cell flexibility, then we could possibly be able to control the process and change more cells’ identities so that more insulin can be produced,” Ghila explains. “The cells’ ability to change identity and function may be a decisive discovery in treating other diseases caused by cell death, such as Alzheimer’s disease and cellular damage due to heart attacks,” says Ghila. There are three types of cells in the pancreas: alpha cells, beta cells and delta cells. These produce different kinds of hormones for blood sugar regulation. The cells make clusters. Alpha cells produce glucagon, which increases the blood sugar levels. Beta cells produce insulin, which decreases glucagon levels. Delta cells produce somatostatin, which controls the regulation of the Alpha and Beta cells. Persons with diabetes have a damaged beta cell function, and therefore have constant high blood sugar levels.